Forward Air Corp., a mostly expedited LTL carrier, reported July 26 second-quarter net income of $24.3 million, or 83 cents per share compared with $19.7 million, or 65 cents, a 23% increase from a year ago. The company’s operating revenue increased to $330.3 million compared with $283.9 million, a 16% jump. 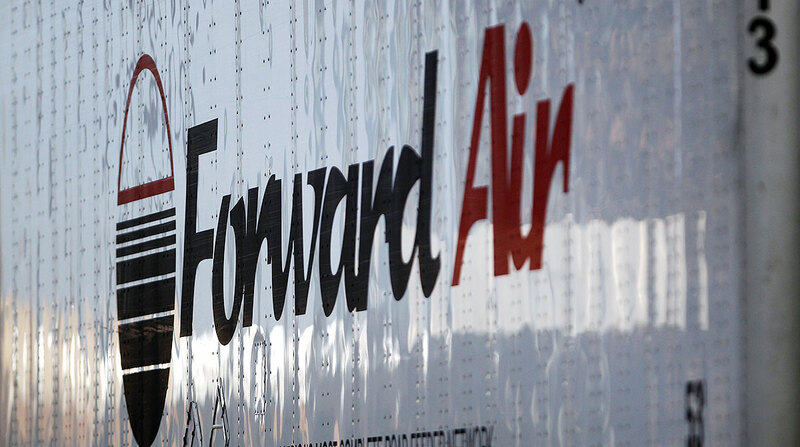 Forward Air, based in Greeneville, Tenn., operates four major divisions — expedited less-than-truckload, truckload, pool distribution and intermodal. The LTL group reported second-quarter operating income of $26.5 million, up from $23 million, on revenue of $192.9 million, up from $160.5 million last spring. The truckload group saw a profit of $1.7 million, on revenue of $48.9 million, down from $50.4 million. Pool distribution saw income of $1.6 million, on revenue of $43.3 million, up from $37.8 million. Intermodal had income of $5.5 million, on revenue of $49.2 million, up from $37.2 million. Forward Air also announced that a company it owns, Central States Trucking of Oak Brook, Ill., is in the final stages of acquiring drayage company Multi-Modal Transport Inc. of St. Paul, Minn. The purchase price is $3.7 million, and it is expected Multi-Modal will add $6.5 million in annual revenue. The second-quarter earnings report marked the last time CEO Bruce Campbell will announce the results to analysts and reporters. After nearly 28 years with Forward Air, and its president since 1998, Campbell announced in June he was retiring. The board of directors selected Tom Schmitt as the next president and CEO. Schmitt currently serves as a management board member and chief commercial officer for Schenker AG, a $20 billion global logistics company. Campbell is expected to remain as executive chairman into 2019, and later as a consultant. Forward Air ranks No. 33 on the Transport Topics Top 100 list of the largest for-hire carriers in North America.